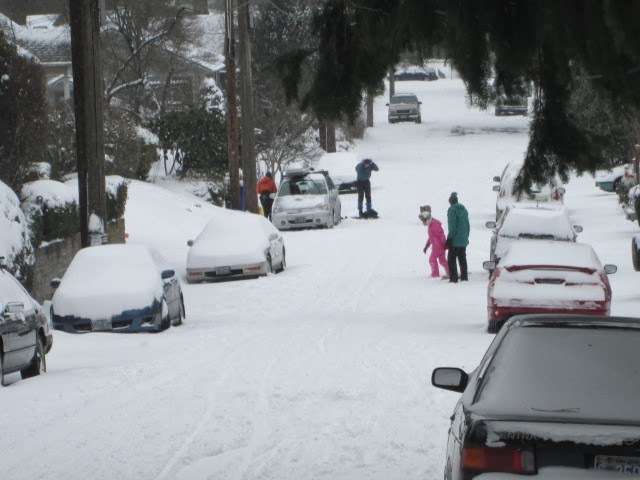 With the recent snow fall in Portland, I had to reschedule some of my interviews for the next cool people to write about. Because I do not have any new stories to tell this week, I thought I would share a few ideas about choosing the neighborhood where you want to live. Do you want to be able to walk to restaurants, shops and entertainment? Do want to be near or have easy access to outdoor activities, such as cycling, hiking, or winter sports? Are you planning to start a family, or are your children soon leaving home? Where do you work and do you want an easier commute or the ability to take public transit? The answers to these types of questions will help you prioritize the types of services and amenities your next neighborhood should provide. Explore: Once you have narrowed down your choices to two or three neighborhoods that seem like a good fit, go there and check them out and have some fun with it! Walk through neighborhoods at different times of the day. Plan your next outing or shopping trip in the neighborhood and see if you like what it offers. Because most of us need to get to work on a regular basis, take a test run of your commute to work, whether it be by car, bicycle or transit. And, don’t forget to check out the transit schedules! Verify: If you’ve fallen in love now with a few areas, take the time to verify key attributes about them. Check out the school districts and double check the boundaries for the schools. Some of those maps may surprise you! Learn about development plans are for the area. Is the area zoned for some type of use you’re not aware of? Is the neighborhood in a flood zone? Flood insurance can be a major expense. Portland is full of great neighborhoods, each with its own unique and wonderful character and offerings. So have fun exploring, and maybe visit some of the people you’ve met here on this blog!